The mini-focaccias with Nutella are simple and quick to prepare using a pan; a soft dough, filled with delicious hazelnut cream and cooked directly in the pan in a few minutes, without waiting for the leavening times. The best thing for a children's snack or as a dessert to be served after dinner, and it can be prepared even on hot days, as there is no need to use the oven. Let's find out then how to prepare these delicious mini-focaccias that will be immediately loved by everyone. Put sugar, flour, baking powder and a pinch of salt in a bowl. Then add the oil and water and work all the ingredients with a wooden spoon. 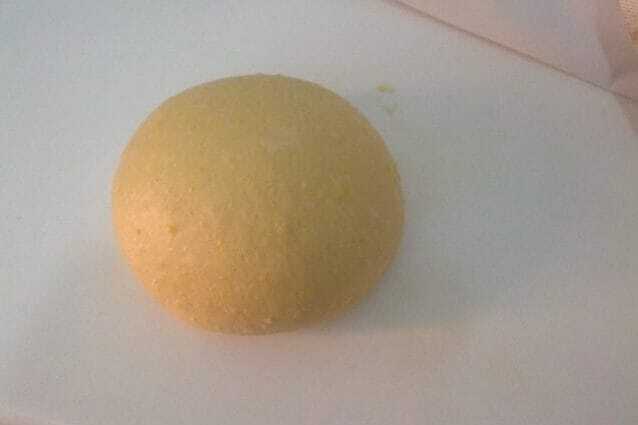 As soon as the dough is well mixed continue to knead it on a work surface, until you get a soft and smooth dough. 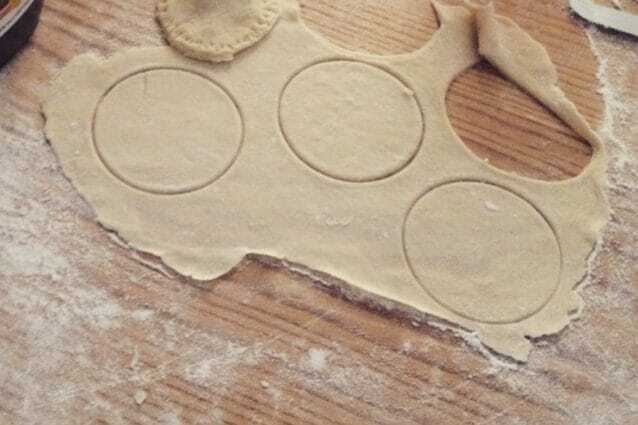 (1) Roll it on a floured surface, helping with a rolling pin to obtain a thickness of 1 cm, and make small round portions using a 6/8 cm diameter pastry ring, or a glass (2). 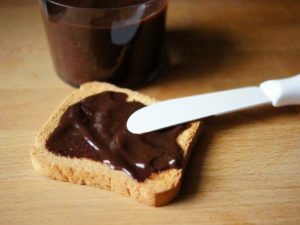 Place a small spoonful of Nutella in the center of the small circle and close the edges with another paste portion. Once all the mini-focaccias are prepared, place them in a hot non-stick pan and cook for 4 minutes on each side at a low flame. For cooking there is no need to grease the pan with oil or butter. 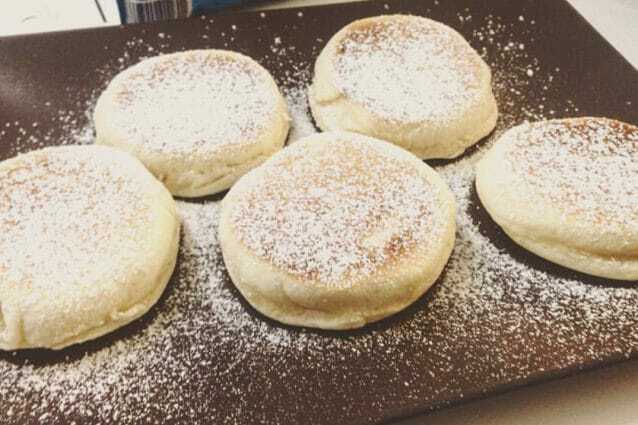 Simply cook the mini-focaccias with Nutella in a hot, non-stick pan. You can stuff the mini-focaccias also with homemade hazelnut cream or with a delicate custard, or choose the taste you prefer, to prepare each time different mini-focaccias, but always delicious. 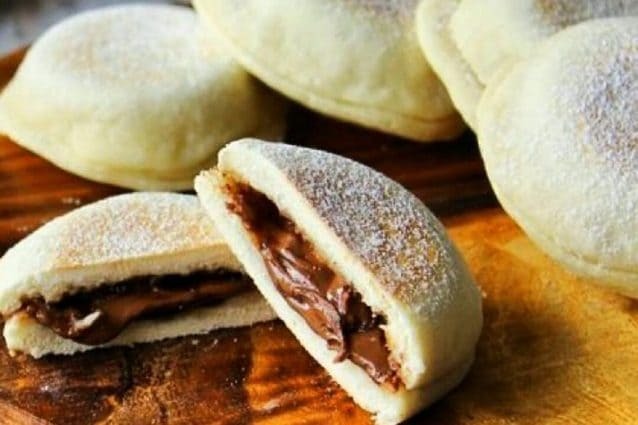 If you prepare the mini-focaccias in summer, put the Nutella in the refrigerator for a while to prevent it from being too liquid. If you love desserts with Nutella then you can also prepare some delicious dorayaki, the best for a tasty snack for children or as a dessert after dinner. You can preserve the mini-focaccias with Nutella for 1 day, inside an airtight container. 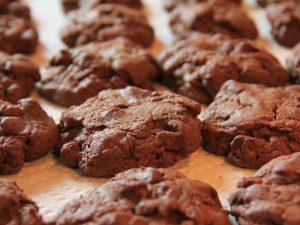 Before consuming them, you can heat them for a few seconds in the microwave oven to taste them warm and soft. 3 Tips for Making Authentic Focaccia!